Hi Everyone! 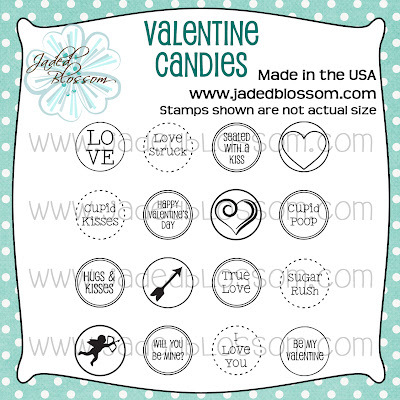 And welcome to Day 1 of the Jaded Blossom Valentine Stamp Release! Today is also my day for SVG Cutting Files so I've created one project for both causes!! 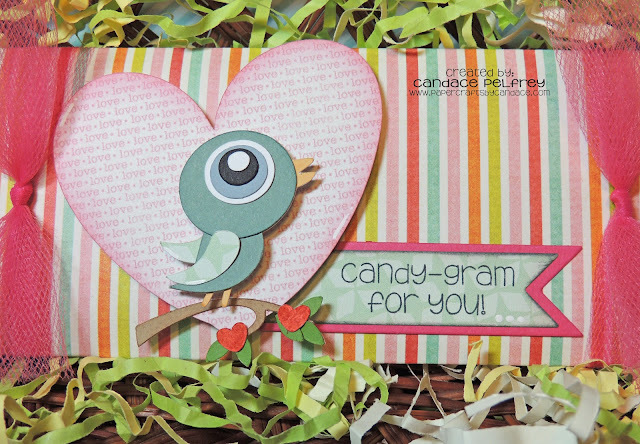 The adorable bird is from SVG Cutting Files "Birds of a Feather: Heart Branch" Here is a close up.. The sentiment is from Jaded Blossom's "Got Candy?" and is stamped on the small flag die from Flag dies 2 and layered on the small flag die from Flag Dies. I popdotted the heart on the hershey bar and then pop dotted the bird on the heart. Added tulle bows to the end and wa-la! 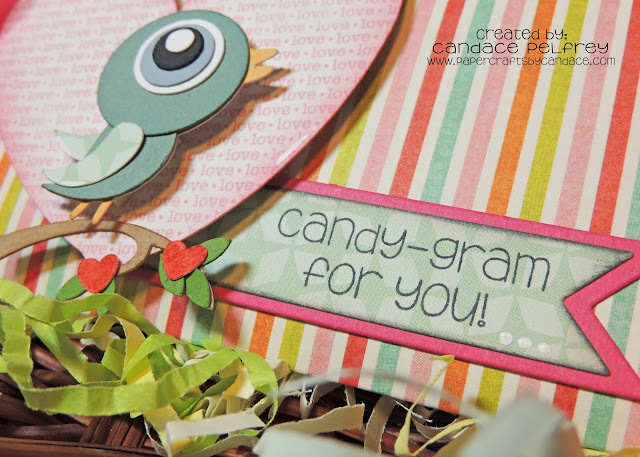 A candy gram! Thanks so much for checking out my project today. Make sure to head of over to SVG Cutting Files all week to see all the other cute bird projects and head over to Jaded Blossom to see what the rest of the design team created! So super adorable Candace! LOVE the new stamps!!!! This little birdie sure is cute. These stamps are so fun. Thanks Candace for the Valentine Candies. Happy New Year! Love it! !Great candy bar wrapper. I'm loving these new stamps. 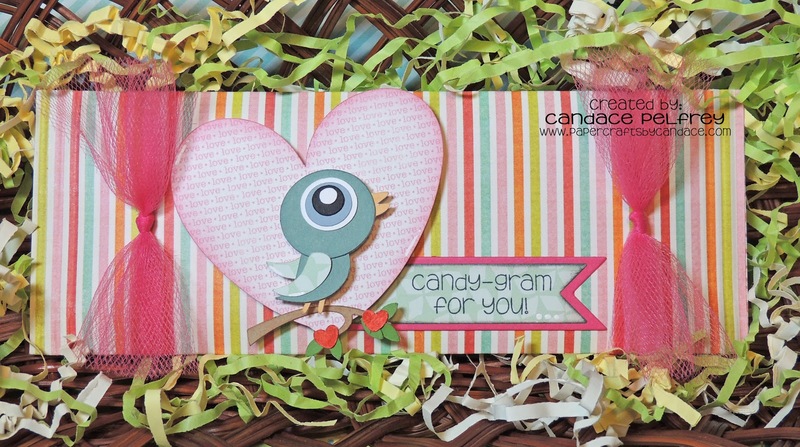 I love how crafters can take a simple Hershey bar and make it into a work of art! Great project! So cute! I love that little bird!!! very cute!!! love your blog look too! 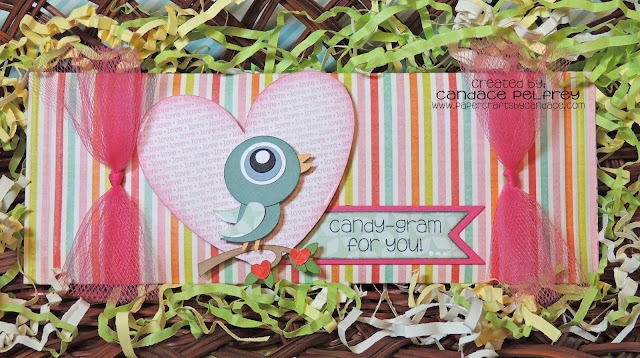 I just love this little bird and the paper you used is perfect! This is great I love the colors you used! love this! The little birdie is adorable! I think this turned out perfect!!! Super cute stamps!Darling candy wrapper! Cute cute cute. love the use of tulle my favorite. So, so cute! Love your birdie cut! 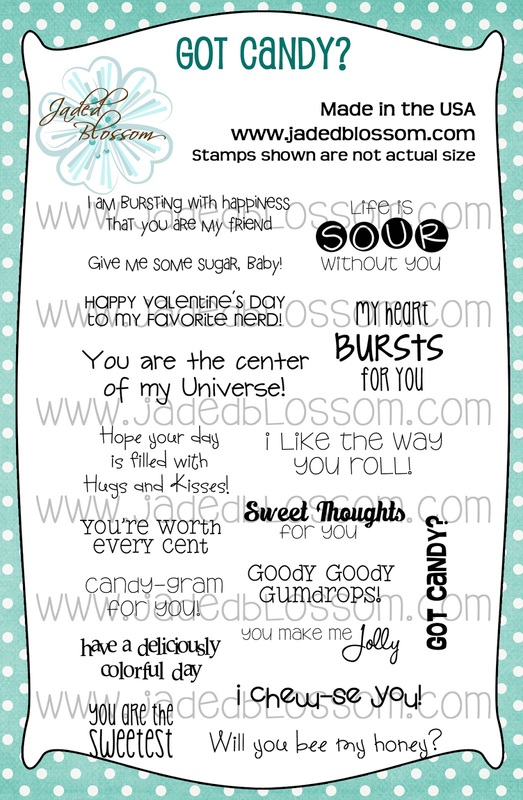 The papers are so bright and fun and love the tulle on both ends:) Super cute-adorable sentiment! Love it. It is adorable. The colors are light and cheerful. How cute! This file is so cute!